When Mr Cheng Nan-jung, a defiant warrior for the freedom of speech and the self-immolated martyr for Taiwan independence, launched his renown Freedom Era Weekly in March 1984, his declaration about the mission of this weekly magazine is still haunting in Taiwan society: “[its mission is] fighting for 100% freedom of speech!”, Cheng Nan-jung resolutely pledged then. On February 11, a special exhibition, entitled as “Breaking the taboos of expressions – Cheng Na-jung x 228”, was held at Cheng Nan-jung Liberty Museum in order to remind Taiwan society there are still many alternative perspectives to learn about this historical 228 massacre event. Mr Hsu Jang-hsien, chairman of Cheng Nan-jung Foundation, hoped this exhibition could help heal and renewal Taiwan toward a healthy tomorrow. A press conference was held before the opening of the significant exhibition, as it also marked the 30th anniversary of the first ever street demonstration, occurred at Tainan City on 5 April 1987, protesting the government’s illegal confiscation of the weekly publications of the 1835 edition of Taiwan Church News(TCN). 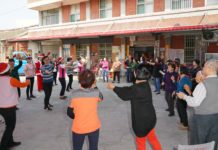 Many important participants of this street demonstration were invited to witness this historical protest related to 228 massacre event, including Lawyer Lee Seng-hsiung, Rev Lin Chong-zeng, Elder Hwang Chao-kai, and several others. Rev Fang Lang-ting, representing Taiwan Church Press, was also specially invited to deliver a message. Rev Fang Lang-ting expressed, the reason why Taiwan Garrison Command(TCG) forcibly broke into Taiwan Church Press to confiscate the weekly publications of TCN on 20 February 1987, was that some articles about 228 massacre were printed inside TCN’s 1835 edition and its special supplement – “A Living Way”. 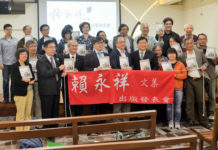 TCG’s savage intrusion into Taiwan Church Press prompted a big furore among Taiwan churches and resulted into a big rally of church members asking the government to return those church publications, Rev Fang remarked, adding that the mayor of Tainan City finally apologized publicly and those confiscated publications were reprinted by TCG and returned back to Taiwan Church Press. Quoting Cheng Nan-jung’s inspiring saying, “I am Cheng Nan-jung, and I propose Taiwan independence”, uttered in a public speech in 1987 and risked a possible charge of death penalty as Taiwan was still under martial law then, Rev Fang affirmed Cheng’s fearless braveness to challenge the taboos of expression and speak out the truth as this is the authentic calling and the quintessential spirit for a free media! How should Taiwan society guard against the threats to the freedom of the speech? Rev Fang suggested that Voltaire’s opinion, paraphrased as “I disapprove of what you say, but I will defend to the death your right to say it”, deserves to be accommodated as a common value among us. Many important participants of PCT’s demonstration, occurred at Tainan City on 5 April 1987, were invited to witness this 30th anniversary’s protest related to 228 massacre event, including Lawyer Lee Seng-hsiung(3rd from right), Rev Lin Chong-zeng(2nd from left), Elder Hwang Chao-kai(2nd from right), and several others. Rev Fang Lang-ting(1st from left), representing Taiwan Church Press, was specially invited to deliver a message. Mrs Yeh Chu-lan(3rd from left), widow of Cheng Nan-jung, also came to greet old friends at the site of exhibition on 11 February 2017.